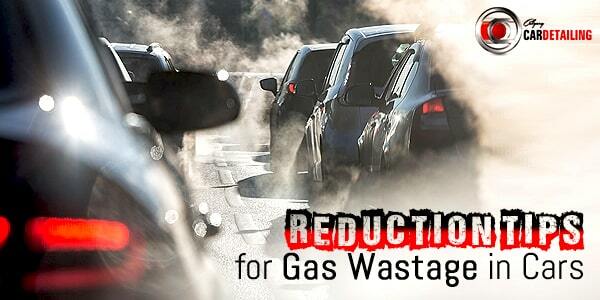 Reduce Your Car’s Wastage of Gas with these 6 Tips! Conserving natural resources is a good practice to be adopted by everyone. With the scarcity of natural resources already giving a signal, you surely don’t want to go back to the primitive times when there was no electricity or fuel! It is better late than never and so it is wise to take the right steps to conserve energy and natural resources. Besides switching off electricity, there is more to do on your part. With the continuous rise in the price of fuel and gasoline, you must be looking for ways to save up on the gas used to run your car. Less gas use means less expenditure of finances and more conservation of natural resources. Did you know? Fast driving means more consumption of fuel by your car. So it is advisable to drive your car smoothly and also maintain the speed limit. This will also reduce the necessity to refill your car’s fuel tank frequently. One of the main reasons why you run out of fuel often is when you use your brakes unnecessarily; this causes rapid wear and tear of the brake pads. To conserve fuel, maintain a distance between you and the car in front of you as this will not allow you to use brake frequently. You can also brake earlier before reaching the traffic light. In this way you will not only save gas but also improve the efficiency of your car. You may have often heard your retailers say, when you take your car for mobile car detailing in Calgary, to turn off the engine when not in use. It is a true fact that if you keep your engine turned on needlessly, you are not only responsible for harming your car but also the environment as well. You waste the fuel and also release a large amount of pollutants in the atmosphere when you keep your engine turned on. Turn off your engine when stuck in traffic for longer times or if you are waiting for someone. If your tires are under-inflated, visit an agency performing auto detailing in Calgary immediately. Such tires harm you more than they do any good- it wastes the gas and also wears out faster. Inflate your tires properly to get better gas mileage and also reduce friction. If you use snow tires during the winter season, remember to get them replaced during the Spring time as snow tires waste gas and also cause excessive friction on dry surfaces. When purchasing motor oil for your car, be sure it is suitable for your vehicle. Using wrong motor oil will make your engine work harder unnecessarily and this will lead to wastage of gas. It is important to know that tuning your car’s engine is a mandatory activity; you should do it regularly so that there is minimum gas usage. If it is long since you have tuned your engine, visit a detailing company immediately. Apart from following these tips, do not forget to go for car detailing and washing. Proper interior car cleaning in Calgary will be welcoming for you as well as your travelers. For overall maintenance of your car, complete detailing and washing are highly recommended. << Previous PostGive your Car a Festive Look with the Right DetailerNext Post >>Always Have these 6 Things in Your Car Care Checklist!